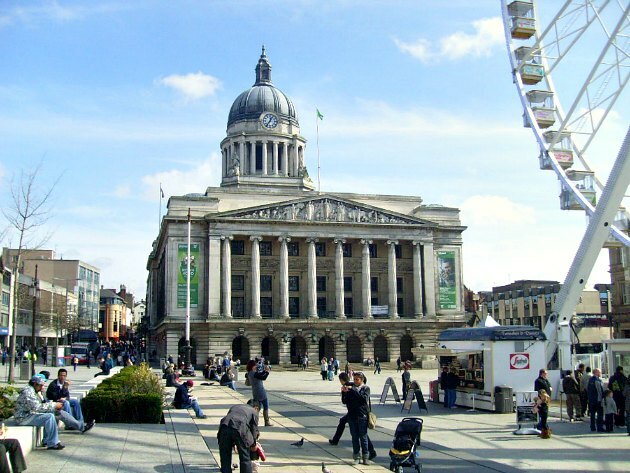 Nottingham’s Council House is the home of civic business in the city and it’s here that councillors meet to debate and make their decisions. It’s also one of the most beautiful buildings in the city with many features worth seeing. It was built in 1929 and no expense was spared in its detail and opulence. Some of this can be seen outside including the impressive dome which stands 200 feet above the ground, but to see the rest you’ll have to head inside. 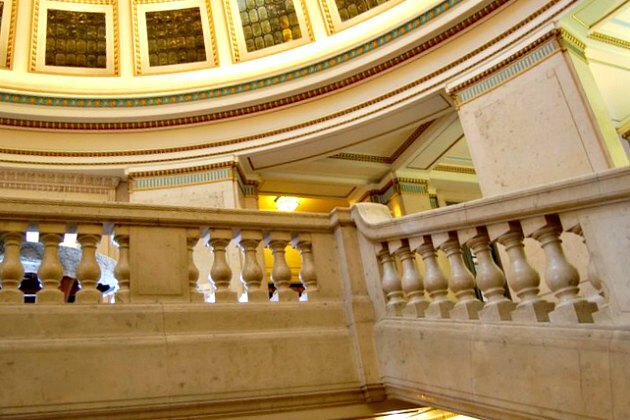 Although you can enter the lobby just to have a look, you’ll get the most out of a visit by taking one of the official tours which are free but must be booked in advance. The tours are led by the Alderman of the city and they’ll tell you about the building and how it is used. A sweeping staircase leads to a ballroom, the council chamber, the Sheriff of Nottingham’s rooms which are palatial in decor and the Lord Mayor’s parlour. We were really impressed with how beautiful it was. To book call +44(0) 115 979 7635. The paved square in front of the Council House is used for different events on a regular basis. Around Christmas time you’ll find an Ice Rink and German Market, in the spring the huge “Wheel of Nottingham” is there, in the summer the area has become a “beach” and there are markets, fairs, promotions and demonstrations on other days throughout the year too. Wherever you in the vicinity of the Council House, listen out on the hour for the sound of “Little John” – the very deep sounding clock bell which is similar in tone to London’s Big Ben. 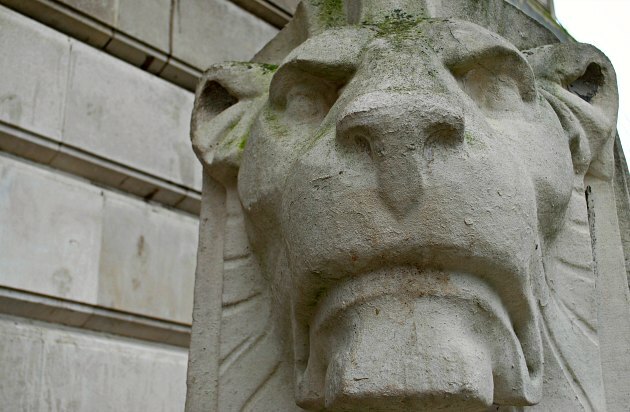 Standing at the front of the Council House, just by the steps, are two stone lions – one on each side. These lions are well known and well loved in Nottingham with the left one in particular being a traditional meeting place for those who live in or around the city. 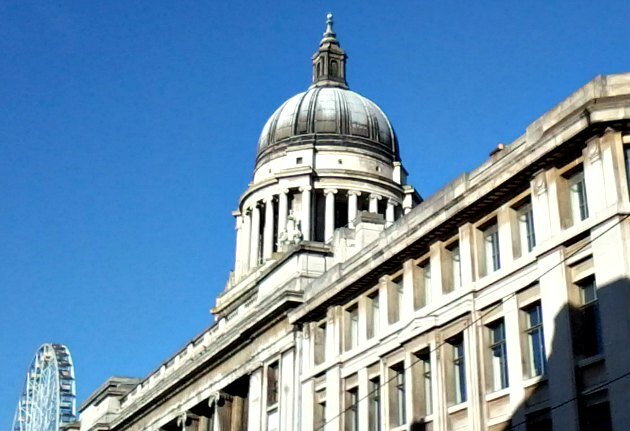 The Council House is right at the heart of the city centre next to the Old Market Square and a short walk from the two main shopping centres, Broadmarsh and Victoria Centre.